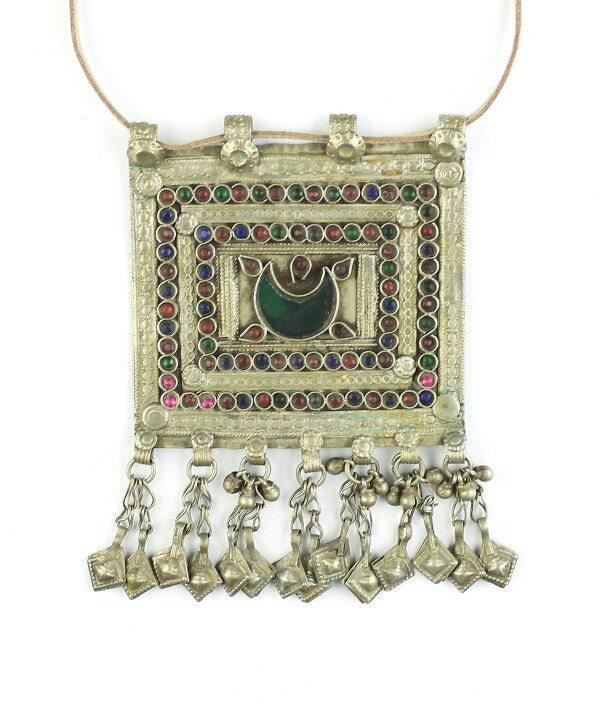 Amazingly detailed middle eastern pendant. Strong square shape with colorful glass inlay stones. Chains of silver charm dangle. Vintage patina finish accentuates all the small detail of this beauty. Pendant is strung on 28” suede cord.